We, DTC packers and movers & Deepak transport corporation,’ have a customer oriented approach towards the varied needs of our clients. Our company situated in Delhi, is built on the strong principles of safety, integrity and reliability. We offer to our clients cost effective and prompt moving & packaging services and goods transportation services, addressing the varied needs of customers throughout India. Our company strictly adheres to set international standards and is known in the market for giving outstanding and hassle-free premium quality services like household goods packing services, household goods relocation services, Industries & office relocations, cargo transportation services, household goods transportation services, commercial goods transportation services, cargo moving services, domestic cargo services, Industrial transportation and packing services, heavy machinery transportation services, O.D.C transportation services etc. Team of talented and expert professionals and cargo services backs our company, ensuring on time and safe delivery of goods anywhere in India. DTC Packers & Movers entered the field of packers and movers in 1980 with a vision and a mission to free consumers from the mercy of transporters. Earlier, the belongings of a small family on the move could not even fill half the volume of the vehicle. And they had to pay for the entire vehicle space. DTC Packers and Movers provided the new containerized concept with ‘container’, which allowed consumers moving from city to city, anywhere in India, to pay only for the space occupied by their consignments. And even cash in on the convenience of professional packing and movement, which ensured zero damage to their precious household articles. Whether packing, loading or transporting, DTC packers and movers covers all your concerns. From ensuring that your belongings, made of wood, steel or bulletproof glass, are packed as if they're delicate china. To insurance in case of accidents. Do ordinary transporters treat your puja room idols with the devotion they deserve? Every container carrying religious articles is 'marked' so that they are handled with due reverence. Packers are even instructed to wash their hands before touching the idols. When loading crockery, extreme care is taken to ensure that no weight of any sort will be placed on the container. One of the many reasons why our packing professionalism has no parallel is because our packing process begins even before we start packing. For example, executives of DTC packers and movers will conduct a survey of the items to be packed. They will even advise you to take precautions like switching off the refrigerator and microwave oven, at least four hours before they are to be packed. This ensures that absolutely no moisture is present in the container, which might damage other items. Proper warehousing facilities for its storage. Unloading and un-packaging of goods. Adequate transit insurance for the goods. 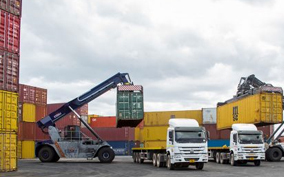 Handling of goods by our experienced and trained staff, during all shifting processes. Our company DTC packers and movers & Deepak transport corporation, is backed by a core team of professionals who have the expertise in the in the field of packing and moving services. They ensure that the goods are packed and delivered at the destination point with full care and safety. We regularly update ourselves with the changing technologies. We believe and follow the full safety & on time deliveries of goods. 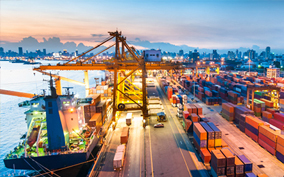 Our company has drawn elaborate measures to avoid pilferage through adequate sealing, locking and regular manning of goods during transportation. Our premium services are available at affordable costs. Our company efficient and dedicated staff is always eager to give personalized services to our clients. Our company ensures that the goods are routed safely and efficiently to their respective destinations. Our representatives keep in close touch with the consignment right form the pick-up to its delivery, and give individualized attention irrespective of the shipment being big or small. The professionals working with us are especially trained in their respective sphere of activity and take adequate measures, ensuring materials safety, proper execution of the services to the satisfaction of the customers. We believe that our services does not end by just delivering the goods, but by bringing satisfied smiles on the face of our clients. We are movers and packers of household goods and have elite clientele. We are a trusted name in packers and movers industry, Transport & O.D.C transport service in mumbai, Delhi, Bangalore, chennai and major cities in India. DTC packers and movers & Deepak transport corporation, offers a range of services that will take all trouble out of your moving. Consideration a move, whether within the city, elsewhere in India / to India or out of the country, our surveyor will visit your home/office and give you a comprehensive cost analysis along with the best mode of packing and moving, all of it combined with helpful suggestions. Of all the services, a logistic service company can provide to the customer, we believe the most important is peace of mind. And, as India’s leading Project logistic service and Logistics Company, we do everything to make sure we deliver just that. Not now, but since the last 35 years from when this company was being brought in light by its owner Mr. B.L Gupta. Mr. B.L. Gupta, our director is basically from Harayana. In 1973 he launched our company "Deepak Transport Corporation’’ . Deepak transport corporation was become one of the reputed firm in the industry by 1980. After that our director decided to launch our packers and movers Unit. As time was changing and market was moving towards customer-oriented market he decided to make his packers and movers business on the test of a normal person and reachable to every normal person. He worked on our costing so that we could provide best packers and movers service on cheapest rate. Today, we are providing efficient, cost-effective, innovative and tailor-made solutions to a discerning list of clientele in India and across the globe. Our competence in project logistic service is well proven in all industries in the core sector such as Cement, Chemicals, Engineering, Fertilizers, Oil & Gas, Power, Refineries, Steel and Sugar etc. Our expertise in Heavy Lifts, Over Dimensional Consignment (ODC), Break Bulk Cargo, C & F Agent, cargo by road. We operate a Research Cell that keeps us up to date about the changing trends, changing policies, newer technologies / equipments and the daily pulse of the market. The information is analyzed by experts who then suggest the best possible plan for your needs.